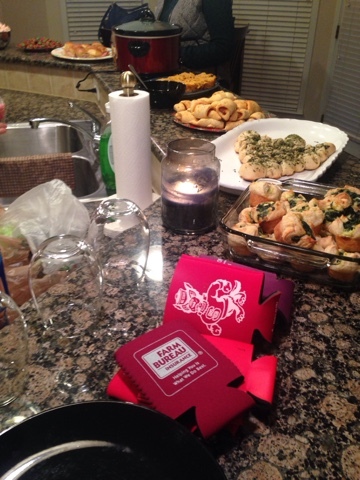 as the wine cork turns: tis the season for parties. as of literally 3 minutes ago i just realized i have been out of college going on 4 years. that thought alone has me in shambles and wanted to crawl back into bed and go back to sleep to forget i ever had that thought. where. does. time. go. anyway, since using sleep as a temporary method of forgetting is pretty much stupid, i'll update you on our weekend instead. friday night, this pretty girl came to stay with us. 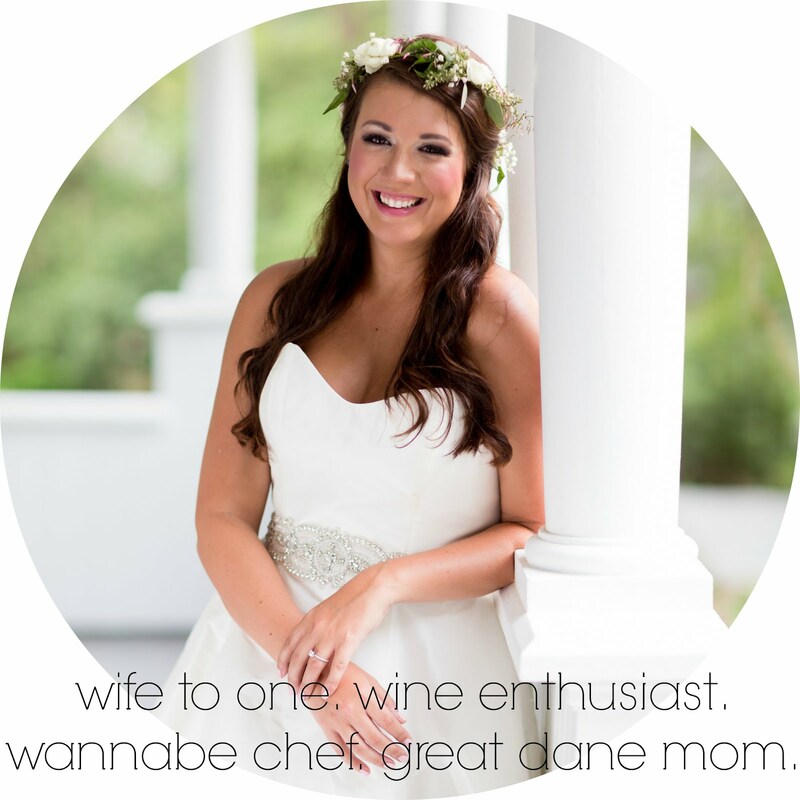 magan and i have been friends since 9th grade and when i found out she had to be in charlotte for saturday night, i convinced her she must come stay with us friday night and be my wine bff. it didn't take much convincing. i swear, a relaxing night at home with good people is all i like to do anymore! we stayed up way too late and regretted it the next morning when our adult inner-alarm-clocks woke us up. 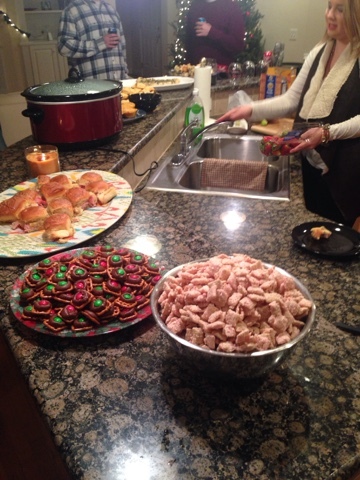 then i proceeded to cook for the "favorites" party we hosted saturday night. there were 8 couples - lee & i, jared & hannah, sean & taylor, and jj & amanda. 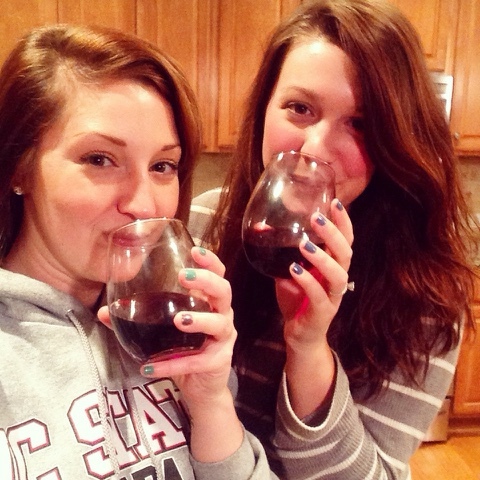 two amanda's under one roof is always fun. we've changed our nicknames to agc for me & gill for her. it works. 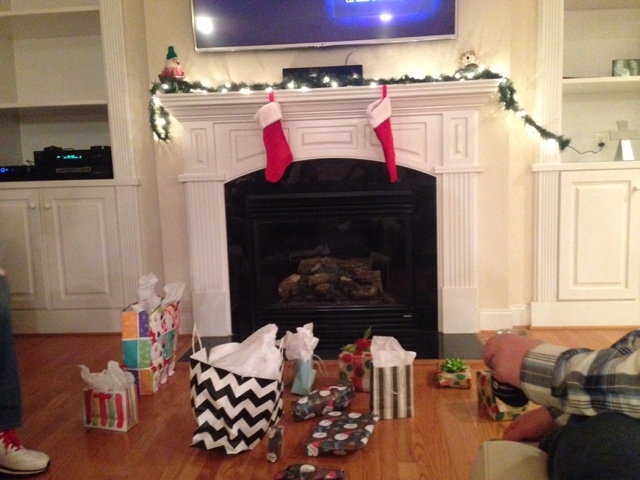 everyone brought a dish and two gifts for us to play a little dirty santa game full of stealing. the two favorites i brought were essie's bikini so teeny with a nail file & a super cute mug with a bag of coffee. 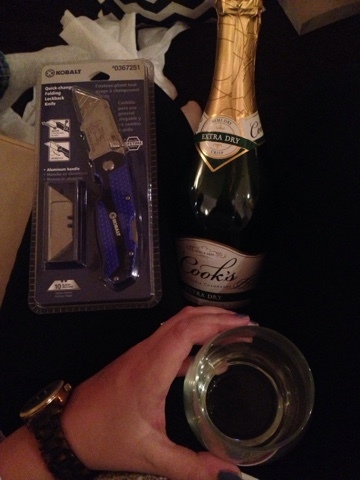 i ended up with a bottle of champage (always a winner) and a pocket knife. try and take away my champagne. SEE what happens. i will cut you. because now i can. 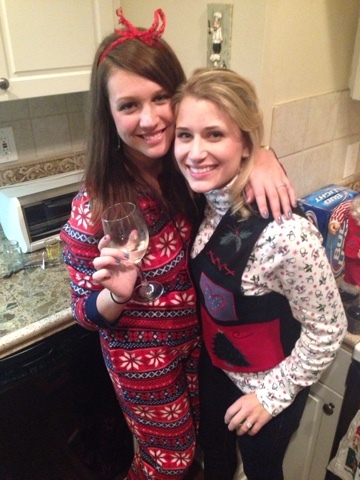 next up was party #2 of the night - a tacky christmas where another game of dirty santa was played. at a last minute decision, lee wrapped up two of the leftover ham & cheese baked sandwiches so we could participate. the guy who opened it died laughing and immediately ate them claiming that was the best gift ever. 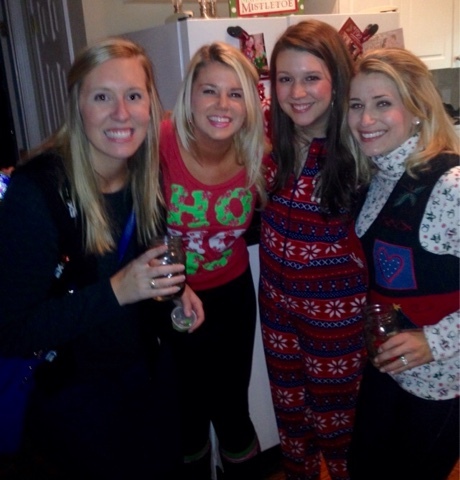 yes, i wore a onesie. best. decision. ever. not only was that the most comfy i have ever been while going out, but everyone couldn't believe i was actually in a onesie at the bar. me either. can i wear this every time i go out? 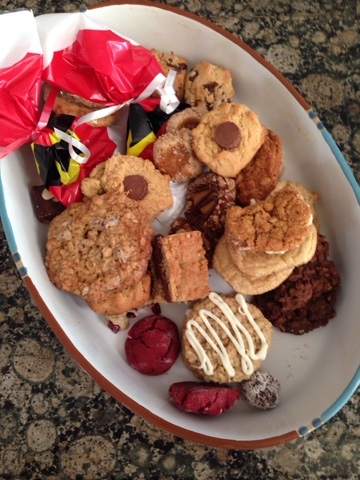 on sunday, i attendee lee's mom's annual cookie party where you make six dozen of one cookie, exchange with the 25 some other women who are there so you end up coming home with way too many cookies that you'll eat for dinner over the next three days. and finally to end the weekend, lee and drew set up our new computer desk in the office! so far we have found all of our furniture from craigslist, with the exception of a our bedroom set, end tables, chest, and dresser. i honestly don't mind getting used furniture as long as it's in good shape and not to mention, extra $$ in our pockets! next on the list is some pretty pattered chairs and a nice table to go to the left of the desk in the corner. i can't wait to do a reveal of these rooms, but it will be a while. like a long while. sorry bout it. 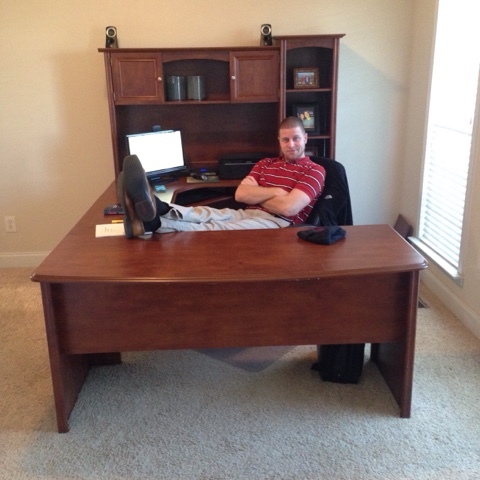 so for now, i'll leave you with this picture of lee in his new found bff of a computer desk with his feet propped up for picture taking purposes only because we are not barbarians.